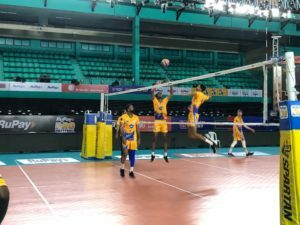 Setter V Hariharan turned in a spectacular performance for Chennai Spartans in their 4-1 win over Black Hawks Hyderabad, and the side is hoping to step it up when they take on Kochi Blue Spikers in the RuPay Pro Volleyball League in Kochi on Monday. Tamil Nadu’s Hariharan came on as a substitute for the experienced Kapil Dev KJ in the opening set, as spirited Spartans bounced back from their opening league round defeat to Calicut Heroes with a breathtaking display of fluid, all-court game. “It was certainly challenging, considering that I was substituting for Kapil anna, who is a legend,” Hariharan said of the Arjuna awardee. “It was owing to the positivity of everyone, especially the senior players – Naveen Raja Jacob, Kapil among others – that I could deliver and I am happy I could contribute to the team’s success,” he added. Jacob (16 points), Ruslans Sorokins (13), Rudy Verhoeff (10) and Akhin GS (8) were the leading scorers for Spartans against Hyderabad. 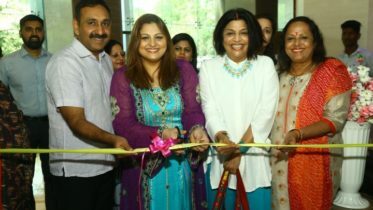 Spartans belong to the House of KALS, a passionate and committed corporate entity that has been involved in developing volleyball in Tamil Nadu for over three decades.